Great songs, but a poor compilation. The title of this album is a misnomer, as it is only the 'complete' Stone Roses pre-Geffen, and includes too many inferior edits of songs. A 'bonus' disc containing five minutes of music. Seriously ? 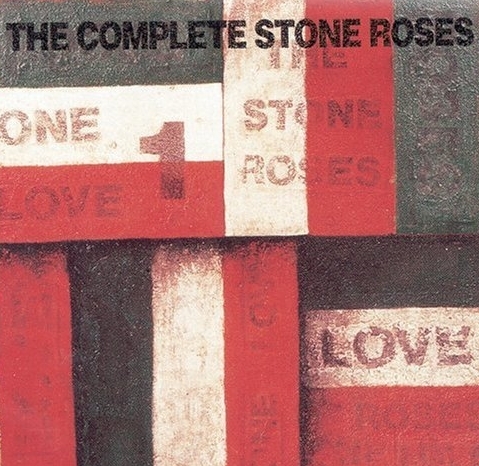 'The Complete Stone Roses' artwork is from 'One Love' (1990), cellulose and paper, sand and oil on calico, 18" x 18"
Front cover of The Complete Stone Roses.